This Suno skirt is perfect in so many ways. It has a little bit of Swahili on it indicating that it may be from an original Suno vintage Kenyan fabric collection. The colors are not neon bright but the print makes up for it with its energetic shapes and zany melons. For fall, I’m going to be experimenting more with subtlety. I know, it’s completely out of my comfort zone. And who doesn’t want a bit of fruit on their clothing? I know I do. The skirt’s hem also falls at that perfect midi-skirt length. The best part about this post? That this skirt is now mine, my one final summer sale indulgence before purchasing my new dSLR camera to replace the 1D I sold on eBay. Editor’s Note 9/1/11: Opening Ceremony sold me this skirt before realizing it had sold at the New York location, thereby breaking my heart when they canceled my order. 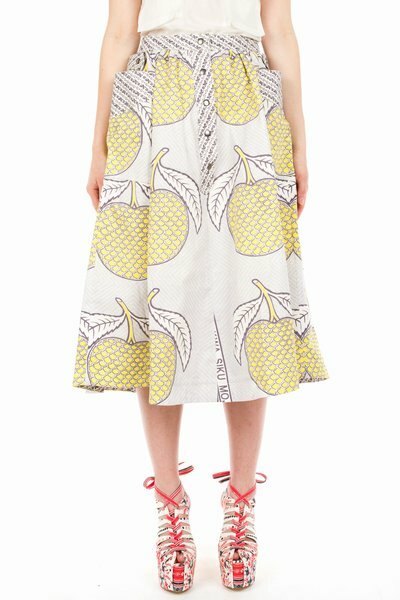 Some day you will be mine, melon skirt. Some day. My street-style photos of Kianna (above) and Fatima Robinson made it into the New York Times reader’s street-style section this week. 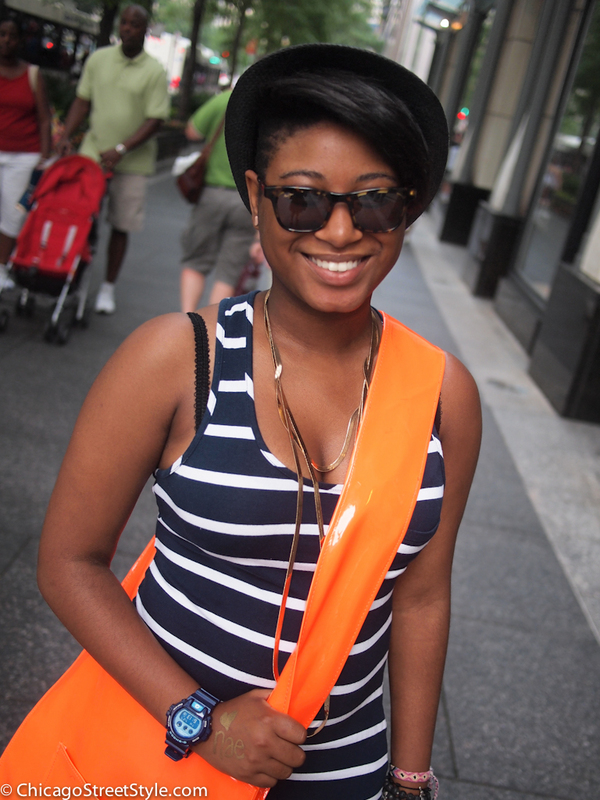 Click here to view the slideshow featuring photos of everyday people in stylish hats. Lanvin always has the best promotional videos. There is no fashion without a sense of humor. *Thank you to Aaron Ealy, who indirectly brought this to my attention via my Facebook newsfeed.